Hands up who loves incredibly high spec Japanese hoodies with graphic prints on them that are inspired by vintage neon pizza parlour signs! Yeah me too. 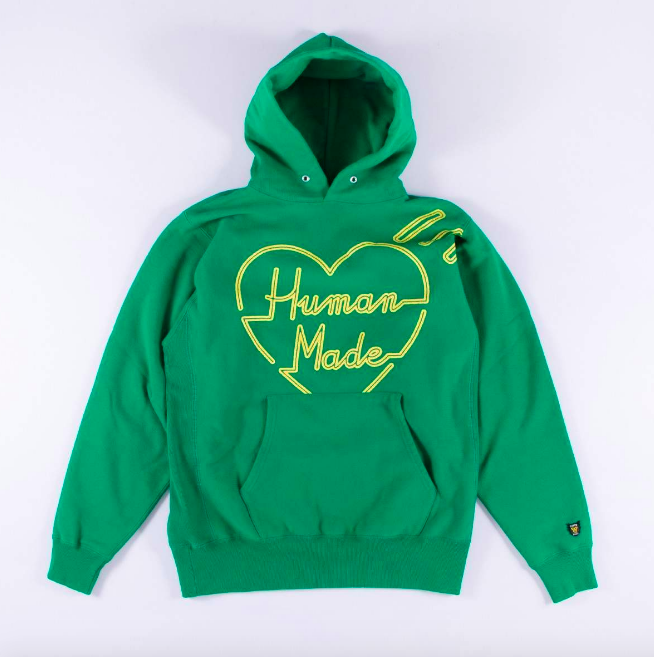 Great news then that Wellgosh have just got these Human Made hoodies in, fresh from the land of the rising sun/pizza dough. 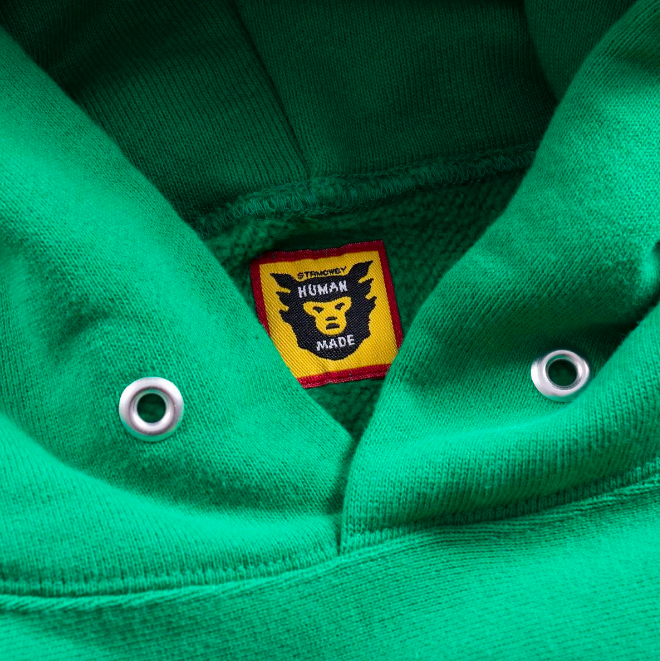 Available in pepperoni pink or vegetarian green they’re a superb slice of takeaway influenced togs. 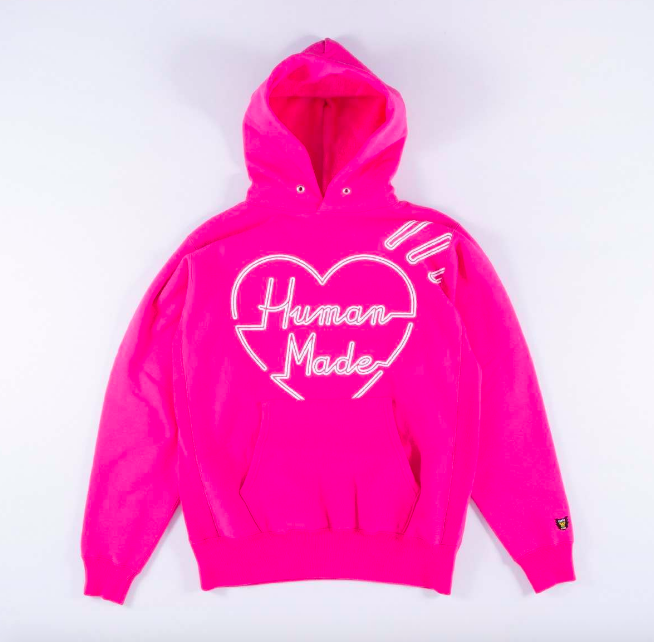 Buy a Human Made Pizza hoodie from Wellgosh here.